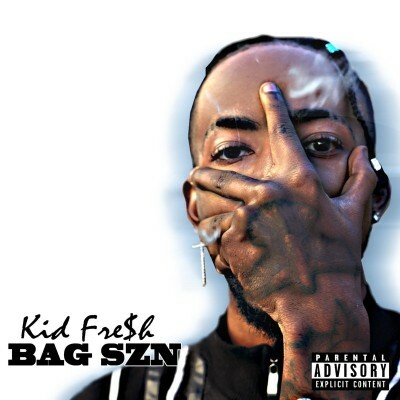 BAG SZN is a new single from Texas based rapper, Kid Fre$h. 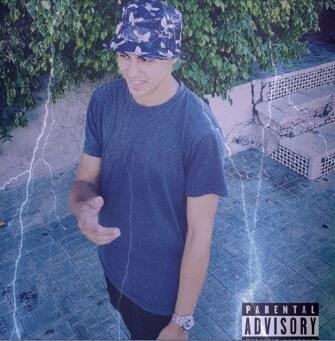 The song is a high octane track, fueled by Kid Fre$h’s energetic and fast paced delivery. The backing music is hypnotically entrancing and theatrical, but Kid’s Southern styled rhymes take center stage. This dude can definitely flow and BAG SZN has the juice to liven up a dance floor. I constantly find myself amazed by just how many talented indie rappers there are. Production on this single is impressive as well, achieving great clarity and punch without Mickey Mousing around with effects too much. This song is fresh all right. Sweden based, fledgling 22 year old rapper “Remmeh” has a new jam out called Same as Money. Remmeh’s freestyle roots are apparent in his stream of consciousness connected lyrical delivery. His vocal tone is unique for a rapper, almost wavelike and calmly surreal. At times he even sacrfices word clarity in order to manipulate his voice into a kind of instrument of its own. The content of the song deals with how he is feeling when people are talking behind his back. That may sound simple enough, but Remmeh lays the story all out in a very complex and abstract way, as if one were to wake up and attempt to write down a crazy dream they just had. It’s like listening to a conversation play out among characters in someone’s head. Refreshingly, with this song Remmeh opts for depth, substance and ambiance instead of empty flashiness. You get the sense that this guy’s music is heartfelt. Usually when I get press releases or bios from indie rappers they typically include a lot of bluster about how amazing and important and famous they are. Remmeh on the other hand merely described himself as a “struggling” young rapper. That kind of humbly genuine personality comes through in the song as well and makes for an artist you want to root for. Is this guy an amazing singer? No, but his voice is still pleasant to listen to. Same as Money also features a thematic piano backing, which blends quite well into the breezy atmosphere of the song. Hip hop artist Jay Gudda’s Dead Wait serves as a prime example of how a song can thrive creatively without extravagant budgets or lavish overproduction. This jam is raw, confrontational and darkly engaging. It is also pretty damn good. The video for this release is unique in that it appears to be filmed from the perspective of a dead body, a recently vanquished corpse being dragged around the room along with the brooding backing beat. It’s an effective touch, giving the listener/viewer the feeling that they’re actually there at the scene and part of something seedy that may have just went down. It transcends mere “voyeurism,” by bringing the listener directly into the action (and thus the song) from the get go. It’s not all serious biz here though, with occasional eerily comedic gems such as: “I can see the hate especially, secondly, I can see they try to steal my recipe.” Jay Gudda displays some real skills with this bad boy, both technically and creatively. 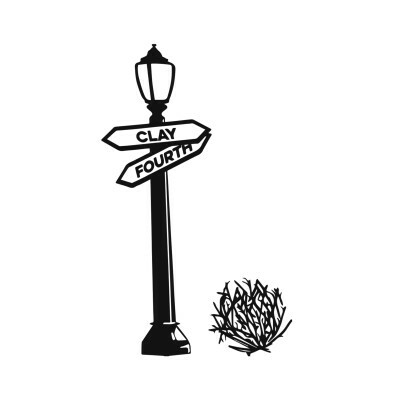 Fourth and Clay is a new single from Pittsburgh (actually California, PA) based band, The Vics. The group already has a couple of solid albums under their belt: a self-titled full-length and an EP, Sparrow. The current single seems like it may be part of a run up to something big. A guitar driven, indie rock jam, Fourth and Clay has elements of blues, refined to a very clear and polished sound. It has a very classy, blues club feel to it. The vocals are really excellent, far better than that of the average indie rock band. Stylistically, they give off a kind of “lounge singer” vibe. In fact, if these guys had been around in the 90′s I could have easily seen them going in a slightly different direction and maybe getting into the swing revival craze. Anyway, the musiciansmanship on Fourth and Clay is stellar: swanky guitars, subdued backing vocals and a well chosen sample. It’s hard to get much better than a combo consisting of style, technical ability and professionalism. The Vics have got it all. 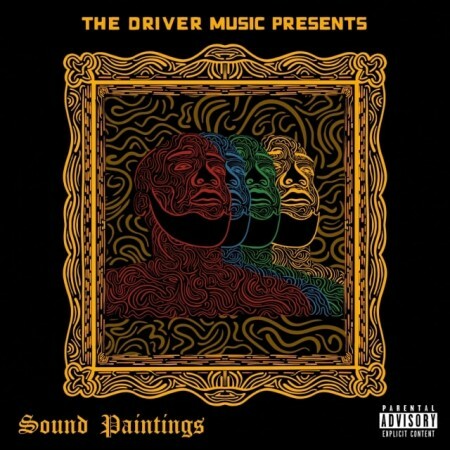 Sound Paintings is a new album from The Driver Music (the name used for the musical project of Mr. Douglas, an Oakland / San Francisco Bay Area based producer and DJ.) The collage-like dance tracks have a groovin’ bohemian vibe, with stylish, laid back mixes offering a soulfully haunting evening aesthetic. One interesting component of this album is that it incorporates short and punchy backing vocalizations / synthesized sounds into many of the songs to enhance the timing rhythm effect. The track All I Need is a great example of this. The Driver Music blends elements of hip hop, house, funk, and even hippie psychedelia to create interesting eclectic genre conglomerations, even within individual songs. In that sense, Sound Paintings really is an apt title for this release, as the artist paints a cohesive, mixed media musical picture, combining all the compatibible pieces at his disposal, including his performing self. My favorite tracks on this album are Blue 7 (a vocal masterpiece) and especially Real Like, which has a delightfully eerie backing and a retro 90′s hip hop feel. 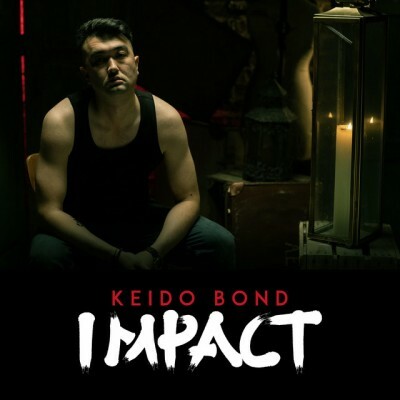 Impact is a new jam from hip hop artist, Keido Bond. The symphonic intro sets the stage for something epic, and the song delivers. Keido’s delivery style is quick paced, original and distinctly unconventional. The fact that it’s difficult to understand the lyrics of the song at times somehow adds to the appeal and gives the song an aura of mystique. There’s potential for an enduring lore. The production on both the music and the video is incredible. Did this guy have a million dollar budget? One thing’s for sure though. Keido Bond “wants to make a positive impact,” and this song certainly achieves that. Keido’s performance is solid, but just as importantly he establishes his own unique style and constructs a recognizable persona. He comes across as charismatic but not full of himself, just an exciting and likable artiste. Impact displays a lot of versatility, with Keido’s vocals impressively shapeshifting, leaving you wondering whether you’re in a room full of rapping ventriloquists. In addition to being a competent musical endeavor, this song is brimming with personality. People will remember this guy. 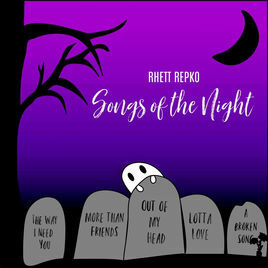 Songs of the Night is a new EP from Rhett Repko. Rhett’s appreciation for the authenticity of classic rock manifests itself in these songs, which favor precision craftmanship and genuine emotion over the plasticity of excess in contemporary pop production. That being said, this EP is very well produced, as good as any label quality recodng, while retaining its organic sound. Tracks like A Broken Song exemplify the album’s intimate feel, with minimalist guitars and heartfelt vocals giving the listener the sense of listening to a dedicated performance in ones living room. Other jams like Out of My Head feature a heavier, rockin ambiance with stylish arrangements and powerful melodic choruses. The vocals are pretty impressive. Rhett can hit some high notes, and his voice is really pleasant to listen to tonewise. I’ve reviewed releases by Rhett Repko a couple years ago and definitely saw a lot of potential. It’s good to see Rhett and the band continuing to progress and make a name for themselves. Holy Prophet Elijah is another fun filled, action packed electronic track from Jamit, this time a collaborative effort with fellow artist Kætäwi. The jam is a groovin’ retro-futuristic dance track with synths stylistically reminiscent of those of the fictitious group “Andromeda” from the television show, Buck Rogers in the 25th Century. One definitely gets some post-disco vibes from this track. It’s positively galactic. The subject matter is the prophet Elijah, and the listener is left with intrigue as to the significance, whether a religious statement is being made or whether the usage is more abstract, conveying a manner of the song’s spirit and vitality. One thing is certain, this jam is poppin’ and makes me want to install a light-up dance floor in my living room. 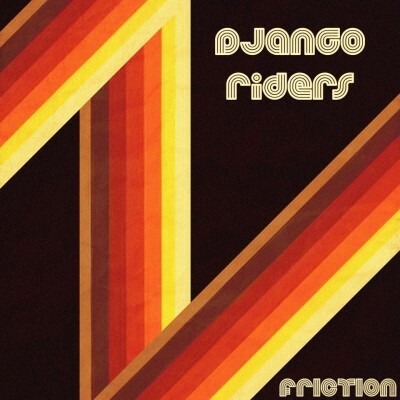 Friction is the debut EP from Django Riders, a soul/funk band from Portland, TN. They managed to pack a lot of vitality in this 4 song release. The guitars stand out here as especially phenomenal. I’m not sure what kind of gear setup these guys work with, but they really do capture that authentic vintage tone. Some musicians will spend thousands of dollars experimenting with vacuum tubes and never come close to achieving this kind of tone. The guitar performance on these jams is dynamic and elaborately groovin. It’s funky rock’n’roll with a little bit of swinging country flavor. Each track is lively as all get out from start to finish. I would have never guessed that the EP was recorded in three different studios over a year period, since everything sounds cohesive, and the songs all vibe as if they’re part of the same set. The vocals are a thrill a minute. The singer does more than just croon. He puts on a wild show with his voice, and you can just tell this dude loves to perform. This style of music is hard to sing well given the exotic voice changes and delivery dynamics necessary, so I have to give props to the lead and backup vocalists for pulling it off. My favorite song on this EP is probably Musky Funk, which has a sweet 70′s style intro, a catchy chorus and memorably quirky lyrics. Don’t be fooled by the fact this is their debut EP. These guys are all pro musicians, and this release punches well above its weight.